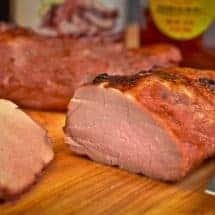 Char Siu Pork Recipe | A Simple and Delicious Chinese Recipe! Looking for a simple yet delicious Chinese recipe to make for dinner tonight? 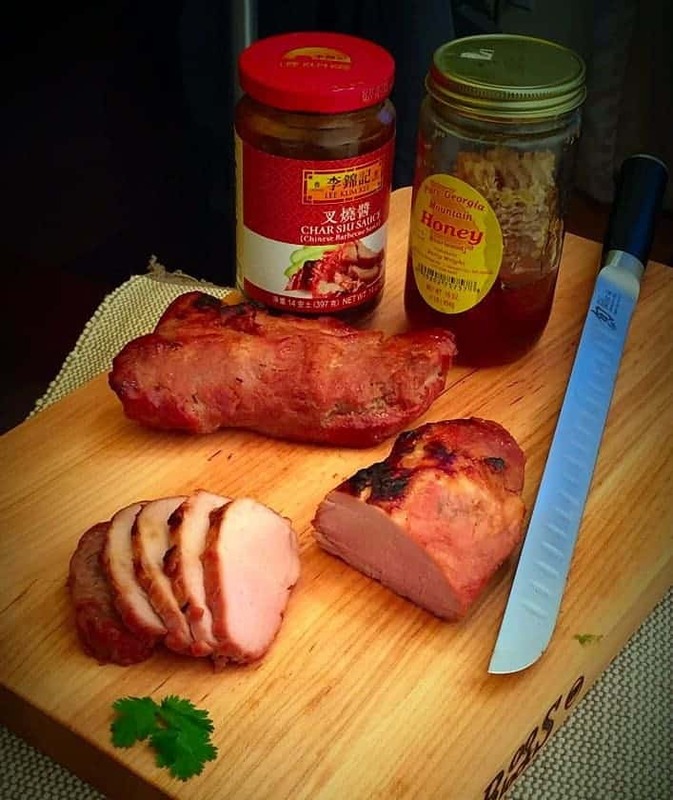 Check out my Char Siu Pork Recipe, made easy with store bought sauce! I love char siu, just LOVE it. It’s one of the few things I will eat as leftovers. I have been wanting to make it at home but every time I looked at the list of ingredients in the sauce, I thought I’d do it another day, when I had more time. Then my friend Michelle told me to just use sauce from a jar. I didn’t even know that was possible. I went hunting for a jar of sauce and the Lee Kum Kee Char Siu sauce had great ratings so I thought I’d try it. As I was making this Char Siu Pork Recipe, I realized that the beauty of making it at home was that I could control the amount of sauce, which is very sugared and sweet. Of course that’s what makes it delicious but I thought I’d see how little I could use and still have it taste good. The jar calls for 3 tablespoons for 1 pounds. I used 3 tbs for 2.5 pounds. It was a milder sweetness than you’d get from a restaurant, but it was perfect for us. HAVE AN AIR FRYER? 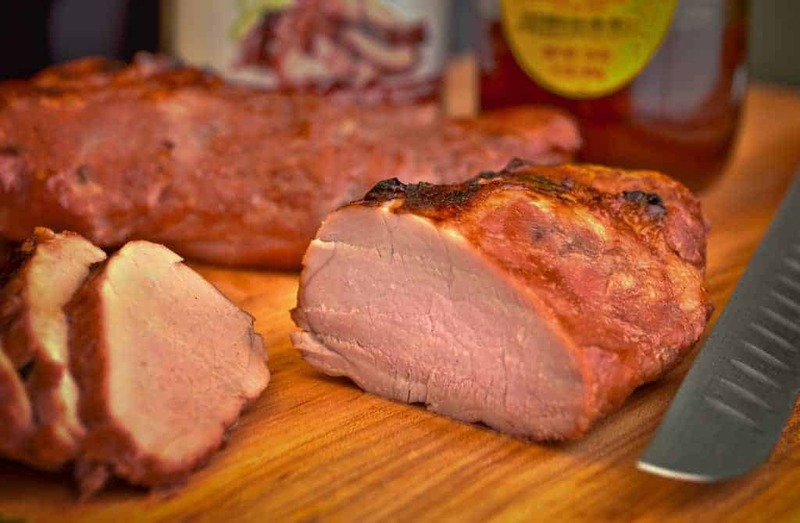 CHECK OUT MY AIR FRIED CHAR SIU PORK! Cut the pork tenderloin into 4-5 evenly sized pieces and place in gallon ziplock bag. Pour in 3 tablespoons of the char siu sauce and zip up the back securely. Knead the sauce into the tenderloin and put in the fridge for at least 4 hours and up to 24 hours. Line a baking sheet with foil and place a rack on top of it. Place the tenderloin pieces on top of the foil and dab on the remaining sauce on each side of the meat. Bake for 25 minutes on one side. Mix the remaining 1 tablespoon of sauce, honey and water together into a small bowl. Dab on to the meat and flip it over, dab on this side as well. Don't try to spread it, just dab it so it goes on thicker. Put the meat back in and cook for another 20-25 minutes, or until a thermometer reads 165 degrees.